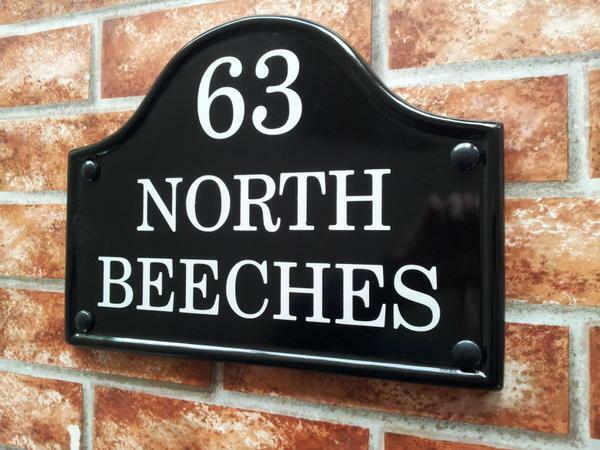 Bridge style House Plaque from Yoursigns Ltd on Vimeo. 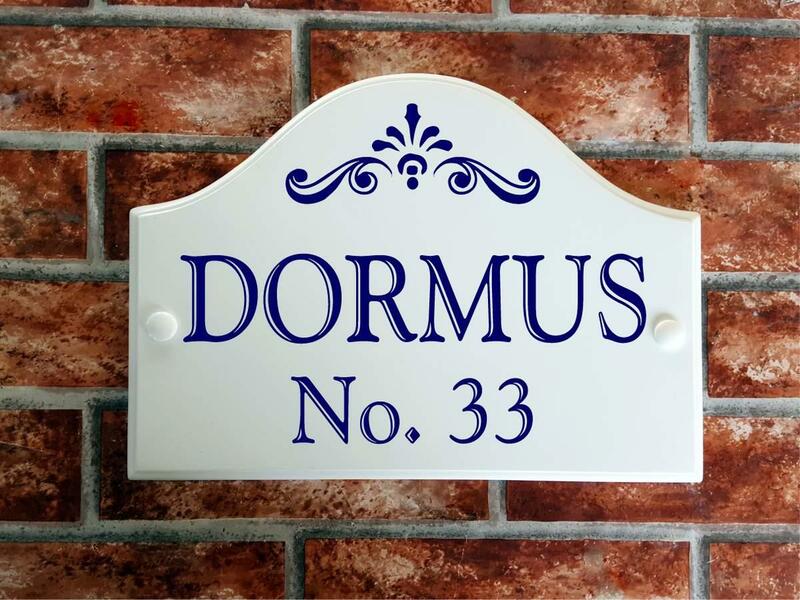 This ceramic style bridge top house sign measures 295mm wide by 210mm high and is 11mm thick and is made from a solid cast of cultured marble. Cultured marble is completely weatherproof. It has a white background and a choice of coloured text. 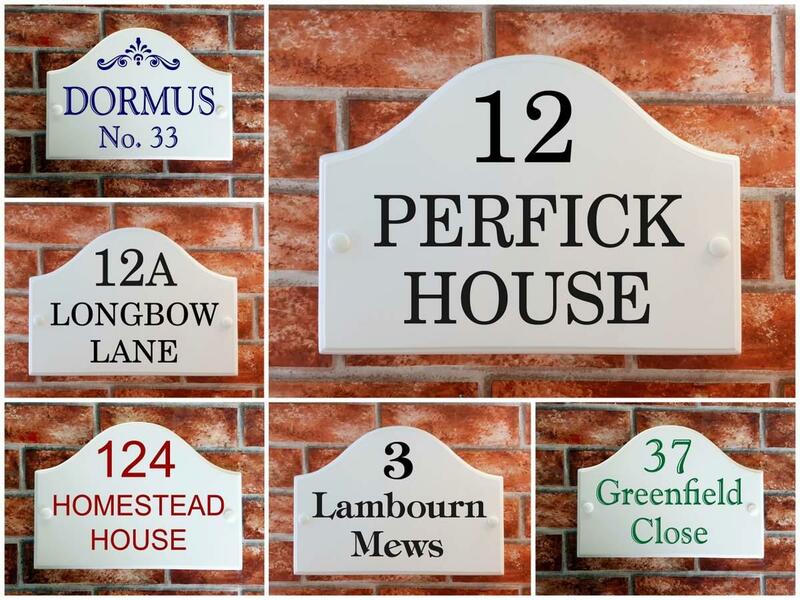 Ideal for displaying house names with house numbers in the top bridge or your home address. Alternatively a very large house number with a decorative scroll i=or direction arrow in the bridge. 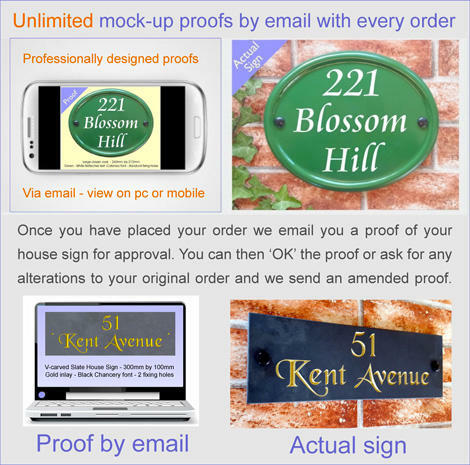 Available in several text layout styles with or without a house number. 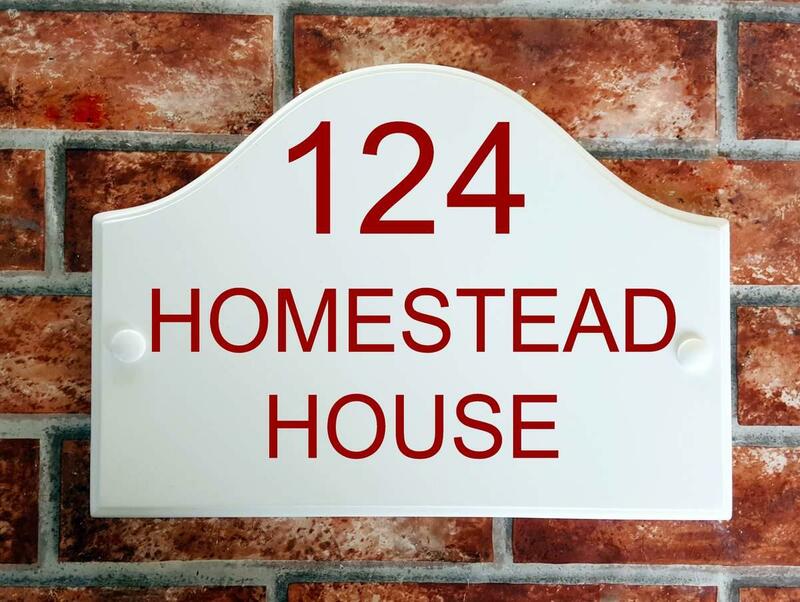 The lettering is printed by our state of the art UV resin ink printer which prints permanent & scratch proof numbers and house names directly on the sign. 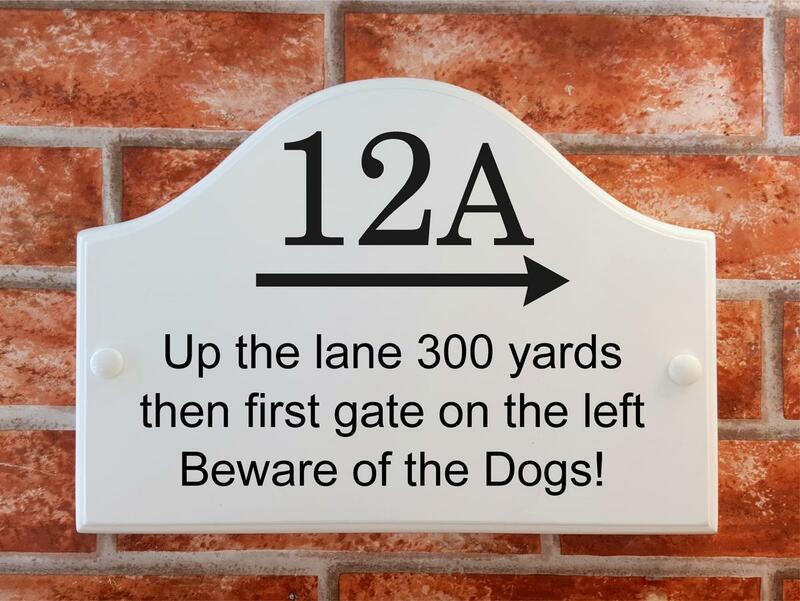 These signs are made for outdoor use and after printing they have several coats of UV filtering lacquer to keep them safe from all weathers. Fix to your home's brickwork, fence, posts or free standing on stakes. 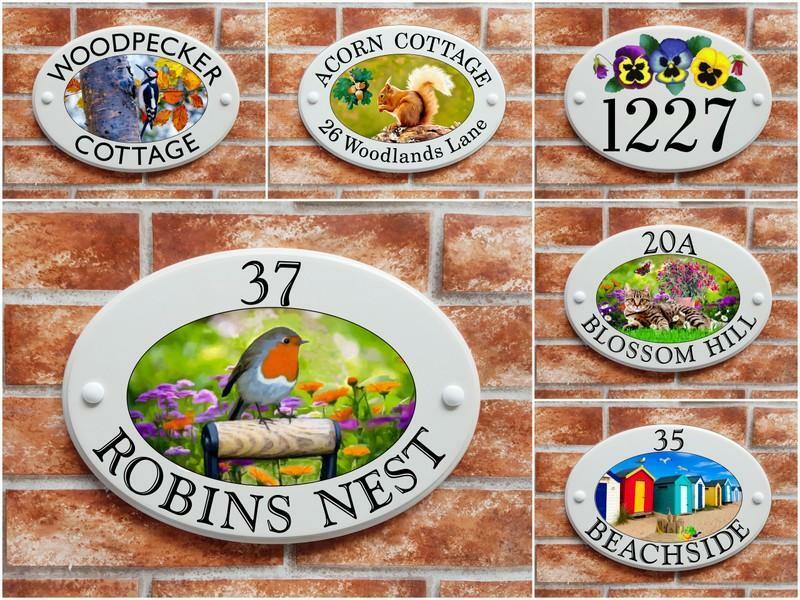 These house plaques are ideal for displaying a house name and address line or just extra large house numbers up to 5 inches high. 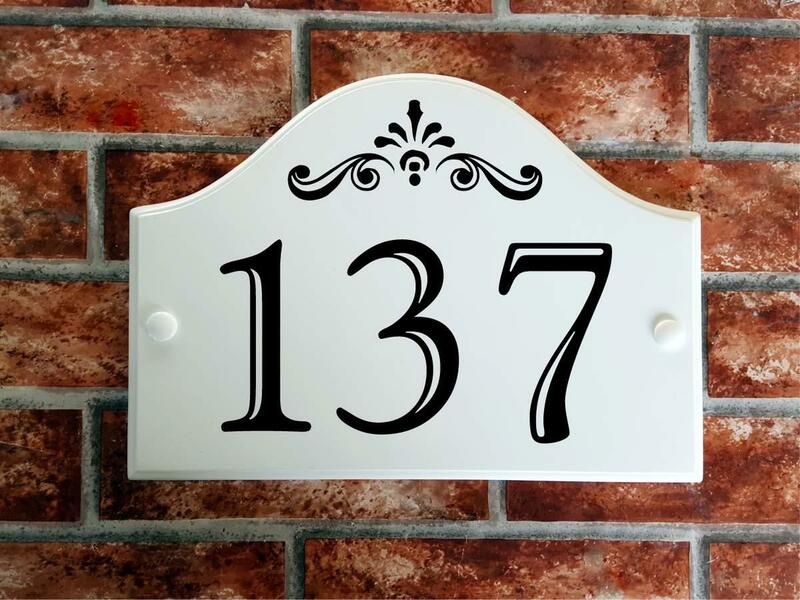 For instance the example showing the three digit house number 137 has numerals 104mm - over 4 inches tall - larger than the size of car number plate numbers which measure 3.5 inches tall. Please select... 1 Line - one line of text centered 2 lines - two lines of text centerd 3 lines of straight text Decorative scroll in arch Large number left & 2 lines of text to the right Number with decorative scrolls Other - enter details in further instructions box Signmakers choice - Whatever looks best!